Foundation has always been an issue for me. Why? Because the color of my skin constantly changes with the seasons for one. Secondly, no one likes a pasty, fake face where you wonder where the real person is under all that make up. BUT, at the same time, you want coverage to hide pores, red blotches, and other skin imperfections. I have tried every foundation on the market from all the inexpensive ones sold at Walmart like Maybelline, Cover Girl, etc., to more expensive ones sold at high-end department stores like Clinique. 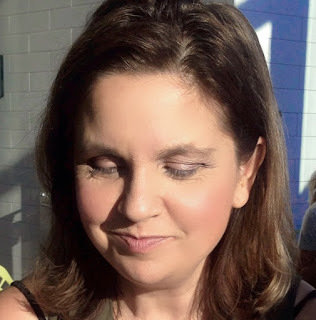 I really liked the Clinique brand, but got frustrated when I spent $35.00 dollars for a bottle of foundation, only to discover it wasn't the right shade when my skin changed colors a few weeks later. 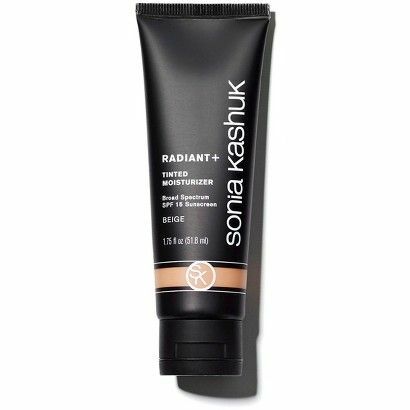 So when I read about Sonia Kashuk Radiant Tinted Moisturizer from Target, that cost only $13.69 a tube, I decided to give it a try. At first I hesitant. I have very oily skin and rarely use a moisturizer. Even if it's an oil-free moisturizer, if I use it, I break out. But at $13.69 a bottle, what do I have to lose? When I went to Target in search of this tinted moisturizer, I found it almost completely sold out. That's a good sign, right? They didn't have the shade I wanted the most (Beige) so I bought the Linen shade. When I tried it at home, I was pleasantly surprised. I was expecting it to be more like a moisturizer and that the coverage would be too sheer for my taste. But it wasn't at all. It actually seemed more like actual make up than a tinted moisturizer. It wasn't greasy at all. It covered very well, yet gave a very natural look. I did not break out from it. And the best part? I never got a sunburn because of the SPF! My husband and I traveled to Colorado and he got horribly burnt on his face from the high altitudes, but I stayed burn-free! The first shade I bought ended up being too light for me (it was summer at the time and my skin was darker), so I went back and bought two more shades: Tan and Beige. I change shades depending on the time of the year. In the winter I wear the Linen shade, fall and spring I wear the Beige shade, and in the heart of the summer I wear the Tan shade. Here are three un-touched-up photos so you can see the coverage of this tinted moisturizer. 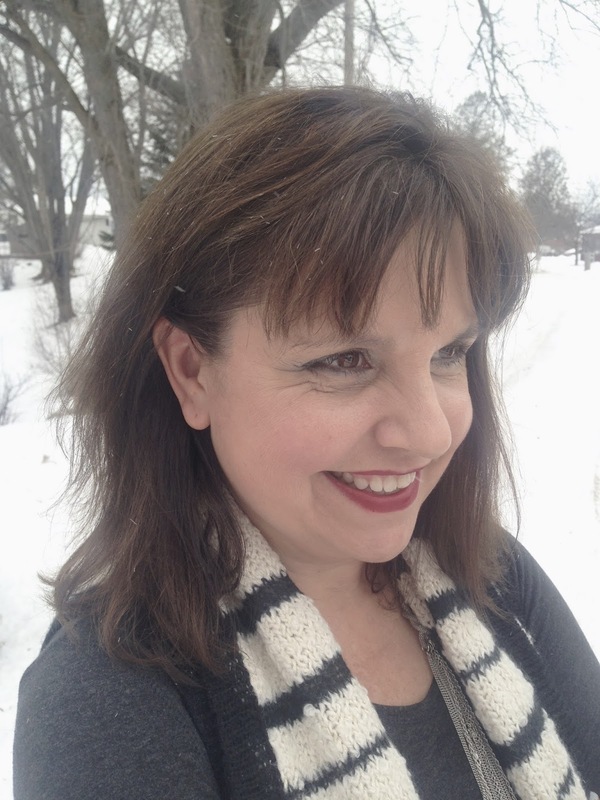 I am 53 years old and my age is mostly starting to show with wrinkles under my eyes, neck, and jowl line. I also have large pores in my T-Zone. Other than an occasional break out (can you believe I still get pimples at 53! ), I have pretty good skin. This picture was taken this past summer wearing the "Tan" Shade of Sonia Kashuk Radiant Tinted Moisturizer. I do put a loose powder on over the moisturizer, plus bronzer and an illuminator. I'll share more about the importance of using an illuminator as one ages in next week's Beauty Post. 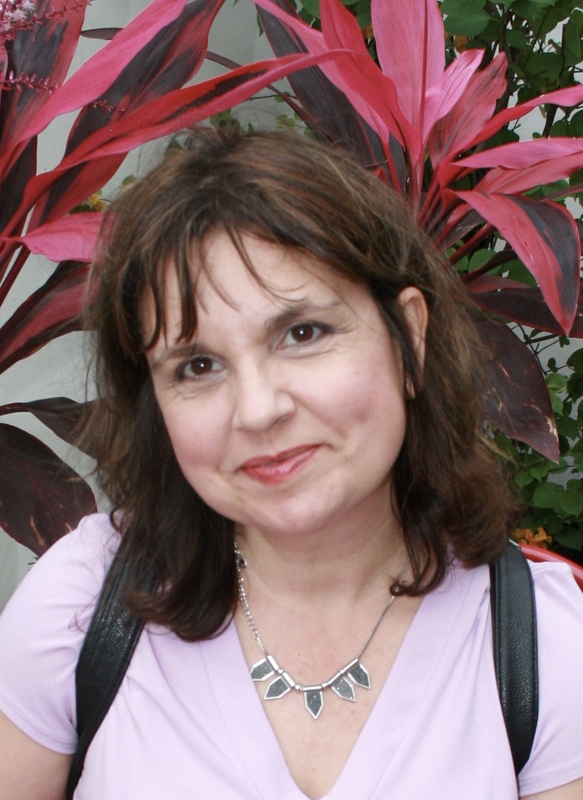 My next picture was taken in the fall when I was in St. Augustine, Florida. I am wearing the "Beige" Shade of Sonia Kashuk Radiant Tinted Moisturizer. I wore this make up my entire week of vacation, and never got burned by the sun. And the last picture was taken just a few weeks ago where it is now winter. In this photo I am wearing my lightest shade "Linen". There are still two other shades available, one much lighter called "Fair" and a "Honey" shade. I have not tried those shades as I think the "Fair" shade would be too light for me, and the "Honey" too dark. As you can see in all three photos it definitely looks like I have a foundation on. The coverage is good, yet, there is never a color change or a jaw line separating my face from my neck. The look is very natural, yet it gives me the coverage I desire! No large pores or red splotches showing! And the SPF and moisturizing factor is an extra plus for me. Also, at only $13.69 a bottle, I can afford to buy three shades and swap them out as the seasons change. I also wanted to let you know, that this is not a sponsored post. I did not collaborate with Sonia Kashuk or Target to do this post. I just wanted to share with my readers what make up I use and why I use it. I hope to do a Beauty post every Thursday...if I can keep thinking of new topics to share! If you have any topics you would like me to cover, I'd love to hear from you! Sounds like a good, affordable tinted moisturizer! Great photos! You look beautiful, Amy, and I am so glad that you finally found a foundation that you're happy with. I have to alternate colors in the fall and summer, too. I just recently started using MAC foundation because I decided to jump on the bandwagon. The verdict is still out simply because now I feel like I'm wearing "too" much makeup...maybe it's too much coverage? I use to wear a cheaper, drug store brand and really liked it. Have a great day! You are such an enabler Amy :-) I am turning 40 this year and still getting pimples too. I will have to give this moisturizer a try. Maybe the one I have now it causing it (and the one I had before LOL). Being tinted is a great plus too, because I currently use Bare Minerals as my foundation, maybe by using a tinted one, I can use less of my expensive foundation. Will be picking up this moisturizer soon :-) Looking forward to your following beauty posts! I always feel less is more. I do a really light tinted moisturizer by Bobbie Brown and then on top of that I add Laura Mercier loose powder. I think this foundation looks great on you! It is so hard to find the perfect one and what I wore 10 years ago doesn't work now that I am getting some fine wrinkles! Bleh! I'm a huge fan of tinted moisturizers! I've been alternating between the Laura Mercier and Bare Minerals but am always searching for something similar at a lower price point. Your skin looks amazing! I'm going to have to try this one!